Corey Coogan Cisek is off to Belgium again this year. Year 2 of her cyclocross apprenticeship starts this Sunday at Koksijde. In her latest rider diary, she shares more things learned from last year and how they affect her approach for 2018/19. I will arrive in Belgium on Friday a much healthier and fitter person than I was last year. There are a number of reasons for this. Some because of things I learned last year, and some because I entered the 2018/19 season in a much better place. 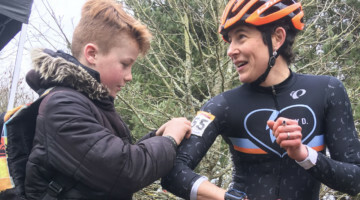 Last year, I arrived in Belgium a bit compromised, having just healed from a broken arm that kept me on the trainer for four weeks and out of racing for ten. 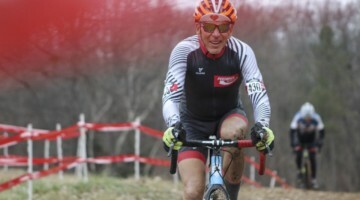 In retrospect, I realize I returned to racing a bit soon. 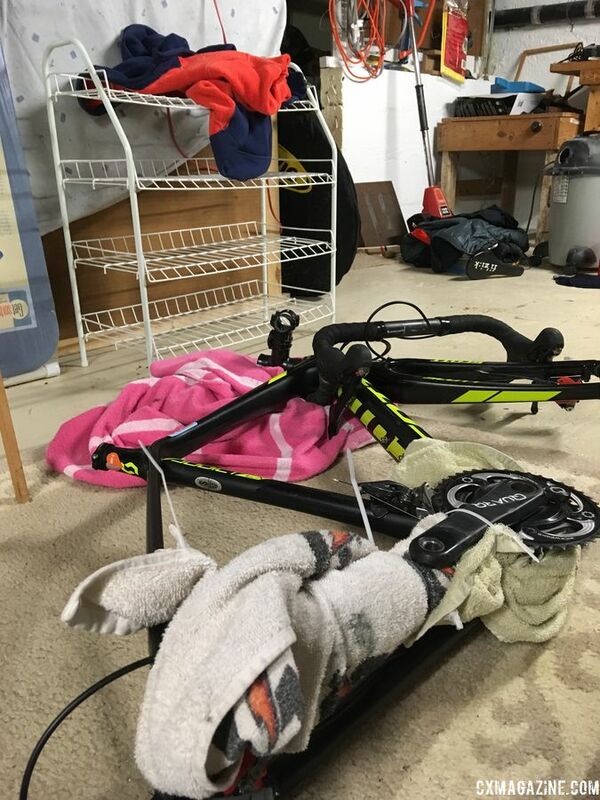 With the Belgium trip looming, I started racing as soon as my arm was strong enough to handle a crash, even though I had done only seated riding and no sprinting for nearly three months. 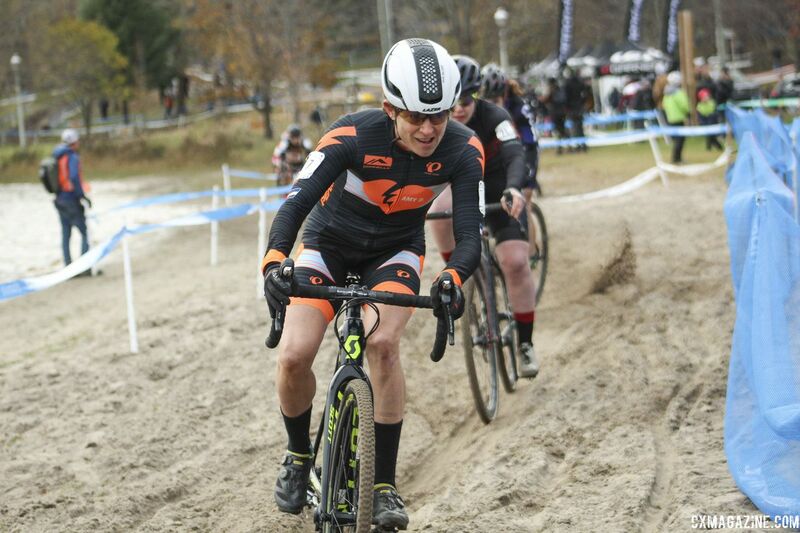 My core and arms were unprepared for the rigors of cyclocross, and my fitness base was shallow. It was a precarious way to start the season. This year, when August passed without incident, I knew I was ahead of last year! Before this year, my training, fueling and health weren’t optimal. I was always tired, but I thought that fatigue was normal for hard training. Helen Wyman started coaching me in March and by mid-May, a crazy thing happened: I stopped feeling so … very … tired. It was like a fog cleared from my day. Most telling, I no longer felt like a zombie at work. With Helen, my chronic training load is not drastically different than was, but my total volume is higher. To sum it up, the easy is easier and the hard is harder (sometimes brutally so). There is rest scheduled in every couple of days, including the occasional day totally off. A plane doesn’t crash due to a single error. Likewise, training is just one piece of the puzzle. I have also improved my fueling. For nutrition, I have been working with Dr. Kyle Pfaffenbach, a professor at Eastern Oregon University who consults with elite endurance athletes on a freelance basis. I thought my nutrition was pretty dialed but with all the effort I put into training, I wanted to be sure. It turns out that while my nutritional understanding and approach was not off-base, there were gains to be made. My eating was not disordered. I ate all foods, including sweets, red meat, butter, etc. Yet, I made common, little mistakes. I had grown cautious of carbohydrates and did not eat enough of them. I also cut some corners “to stay lean.” If I got hungry near the end of a ride, I’d hold off on eating until I arrived home. If I felt the workout was short or easy, I might skip a recovery drink. With Kyle’s guidance, I am now eating vastly more carbohydrates in advance of, during and after training. Likewise, I keep an eye on Training Peaks kilojoules burned data and make sure my food intake reflects my training load. I am leaner than ever before, but that’s not the whole point. I feel a lot better and recover faster. Appropriate, phased training coupled with good fueling means I am no longer bathing my body in cortisol. With so many things going right, I should be expecting to rock it in Belgium, no? Being fitter and healthier is one thing, but translating these improvements into results is another matter. 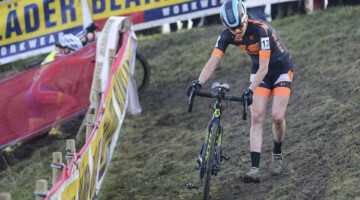 It’s hard enough to do this in the U.S., but racing in Belgium is brutal, with women scrapping for every position. I’m expecting to get my clock cleaned but to learn from it and become a better racer. 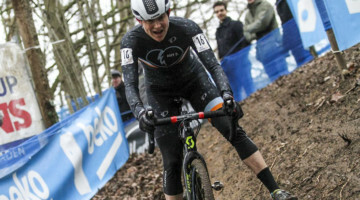 With my North American season ending, I’m looking forward to some things being easier in Belgium. That’s right, some things are easier. When I arrived in Belgium, the American custom of driving five-plus hours for UCI races seemed normal. It took shockingly little time to adapt the Belgian philosophy that a 45-minute drive was an onerous journey. I actually experienced a bit of culture shock racing back in the U.S. this fall. Although I had the support of Amy D. Foundation at many races, I did a lot of travel to and from races solo. For the first time ever, the days spent flying and driving and constantly un-building and building bikes seemed overwhelming and a little silly. 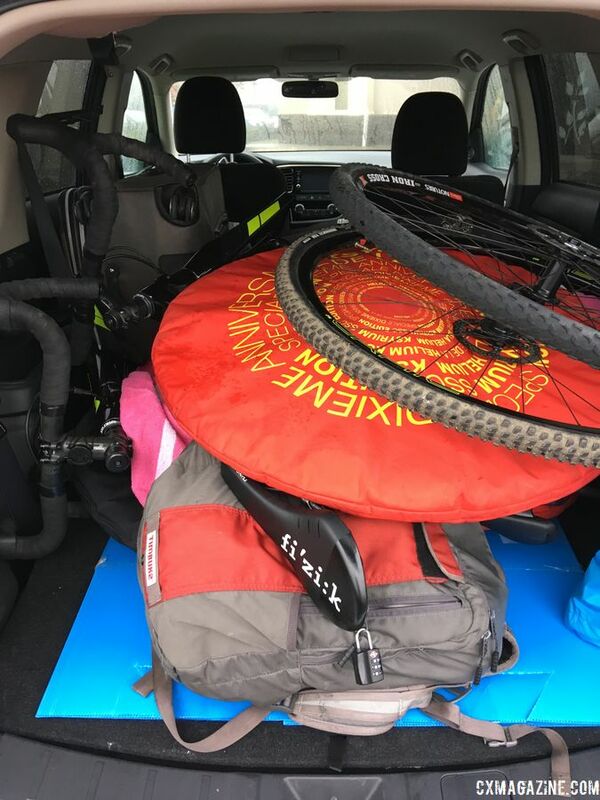 Flying two bikes, four wheelsets and my Feedback Sports trainer across the ocean is no small matter, but it’s a one-time thing. Once there, I will assemble my bikes just once and leave them that way for three months. Although I plan a couple of drives to Switzerland and Luxembourg for races, I will mostly stay in Belgium and the Netherlands, never driving more than two hours to race. While living in Belgium for a season seems exotic, it’s less expensive than you would imagine. My airfare to Brussels (flying on Thanksgiving Day) is not appreciably more than I would pay for some flights in the continental U.S. Likewise, paying $150 to fly a bike to Brussels seems like a bargain compared to $150 to fly a bike domestically. In Belgium, my Airbnb studio costs less per month than a studio in Minneapolis. Food is “co-op-quality” at the normal Belgian grocery store and far less expensive. Race fees are … oh, right, registration is free and sometimes I even receive a tiny start contract. For those of you not familiar with this model, remember that Belgium has gate fees and staggering food and beer sales. You would not charge an NFL player to play, would you? It sounds luxurious, and it is, but it’s also essential in order for the bikes and body to survive Belgium. As I’ve said before, there’s not a lot to like in a Flanders winter. The realities of training in that environment are harsh. To balance that, I’m looking forward to the professional support and friendship of my mechanics and leaving my bike built for months. Given the challenges of the weather and competition, some things need to be easier, right? 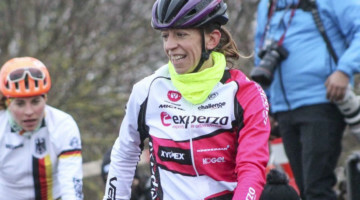 For all of Corey Coogan Ciseks Cyclocross Apprenticeship diaries, see her column archives. Previous post Watch: Highlight Videos from Supercross Day 2 "Tough Mudder"
WOW …. what a change form 12 months ago. The tome and substance of this update seems to be significantly different (in a positive way) than previous versions. Now, as mentioned, to translate this into results. I fully expect it will. Also nice to see a couple of disc brake wheels in the back of the car. Welcome to the 21st century. Not that I am in a position to offer up suggestions, but what the heck … Starts, great or bad, mostly (about 80%) in your head. Don’t back off, find a way round.